Identify the most appropriate financing program. Provide personal referrals to individual bankers at premier area lenders. Act as Client Advocate during the entire financing process. Provide debt restructuring services and consultation for business turnarounds. We understand the need for a reliable financial advocate in times of financial distress. Links Financial is here to help you develop tailored plans that allow you to get through tough financial times and manage relationships with all stakeholders. Our financial consulting services include assistance with landlord negotiations, vendor issues, and labor disputes. We help our clients restructure and refinance their debts enabling them to regain the control of their business finances. Links Financial is with you during tumultuous business environments that make it hard to keep your financial functions in check. We have the knowledge and experience to help you get through difficult financial challenges. Read More on this topic: Why Do Companies Restructure? Links Financial facilitates debt origination and restructures for various industries and transaction sizes. We assist our client’s management team at all stages of the transaction to provide the strategic alternative that maximizes the likelihood of a successful outcome. 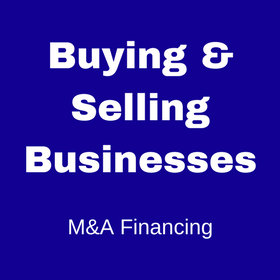 We can help you negotiate with financial institutions over the terms of securing financing for partnership and management buyouts, as well as the acquisition of your next company. We offer expert advice and work closely with our clients to structure a deal that is best suited to your business needs. 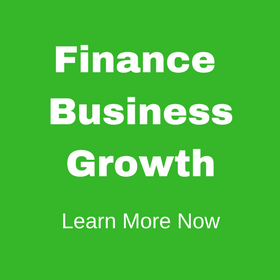 Links Financial is well connected to most of the top capital providers: banks, commercial finance companies, asset-based lenders, specialty lenders, hedge funds, mezzanine funds, and private equity groups in Florida. We can help you obtain the right business loan through our credible relationships within the financial and banking industry. Related topic: What Is Leveraged Financing? Links Financial leverages its professional connections to gain access to capital providers to obtain financing for its clients specializing in real estate investments and developments. We have arranged financing for office buildings, industrial projects, multi-family developments, strip shopping centers, assisted living facilities, mobile home parks, gas and convenience stores, restaurants, hotels, medical office buildings, home builders’ credit lines and acquisition and development loans, and owner-occupied facilities. Links Financial can assist you in finding alternative debt investors for your middle market business. We work closely with our client to structure the optimum financing solutions and try to avoid costly equity whenever possible.